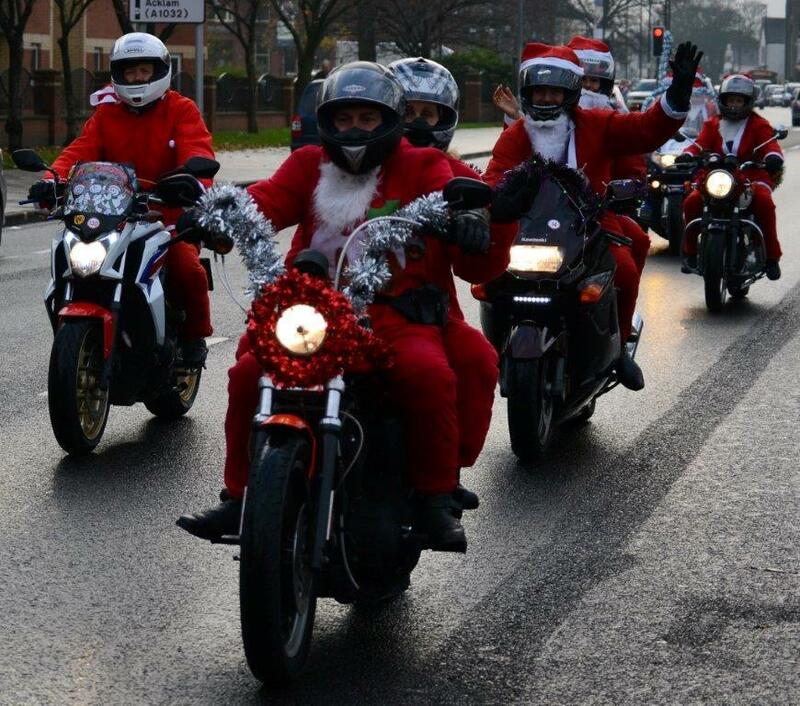 I’ve had fun riding the Honda CB650F all year, riding some long distances, visiting exciting places and having chance to ride at Silverstone circuit but none of these brought as big a smile to my face as the recent Santa Ride I took part in. I met up with the guys from the Boundary 500 Motorcycle Group (http://www.boundary500.co.uk/) for the ride. This is just one of many events they organise throughout the year to raise funds for their local air ambulance and also Zoe’s Place, a hospice for babies. 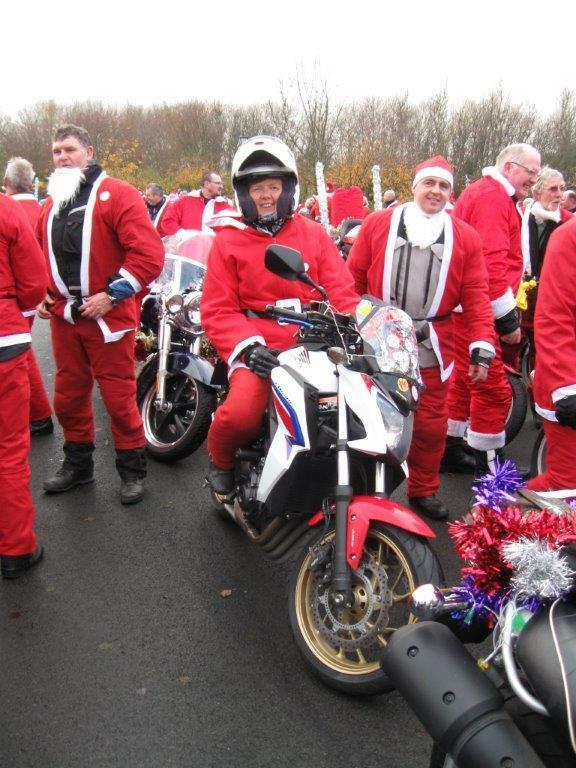 The Santa Ride’s in aid of the hospice and has grown in numbers, both those taking part and money raised, since the first one in 2006. The numbers are now capped at 160 bikes, for safety reasons. 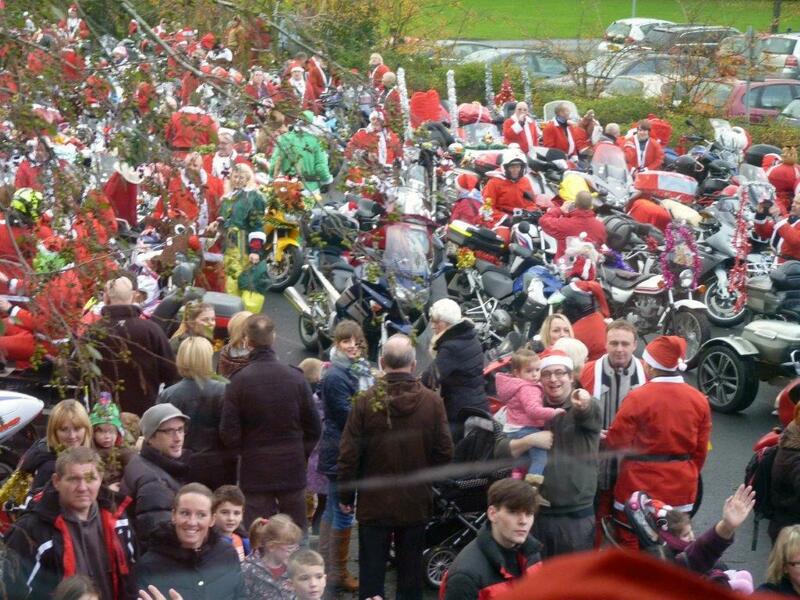 It’s expertly marshalled by the Cleveland and Durham Police Motorcyclists and was a really great event to be part of. There was all manner of bikes taking part from Monkey bikes and scooters, through to Goldwings with stereos blasting out festive tunes. The locals were out in force, lining the 22 mile route and cheering us on. It took us over an hour and a half to cover the route, at times we stretched for almost a mile. It really is a great way to raise awareness for the charity being supported and also show bikers in a really positive light, which can never be a bad thing. It was a really good way to spend the day and definitely made me full of Christmas cheer, a great way to kick off the season’s festivities. See if you can spot me, I’m the one dressed as Santa! !